Оbjective. To improve outcomes for children with intussusception by developing differential diagnostic criterion for assessing the degree of ischemic ulcers, rational treatment strategy study and improvement of surgical technology. Materials and methods. 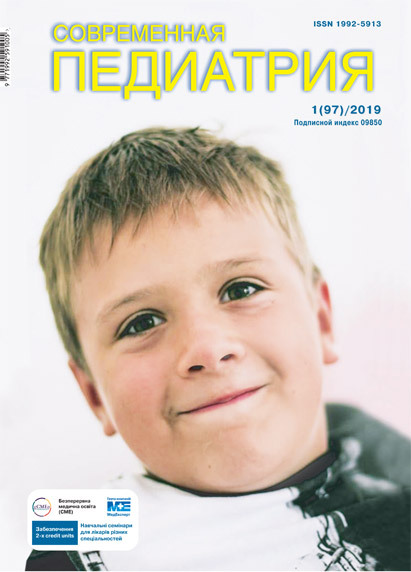 Based on the results of treatment of 196 children with intussusception in the surgical department of the Zhytomyr Oblast Children’s Hospital over the period of 2006 and 2015. Patients were divided into two groups: the study group (SG) (89 patients) and comparison group (CG) (107 patients). Results. Atypical clinical presentation in the form of absence of two or more symptoms of intussusception occurs in 27.27% for stage I, at 14.81% at the second stage, at 9,52% at the third stage and 8.33% for stage fourth. The greatest diagnostic sensitivity and predictive value among the conservative methods of research at intussusception has ultrasound and duplex scanning with color Doppler mapping (92.31%). For the purpose of verification stage intussusception developed a system of scoring of the degree by which systematized the main prognostic indicators ultrasound and duplex scanning with color Doppler mapping. Designed and implemented a method of treating intussusception in children with the use of laparoscopy combined with ultrasonic doppler control. Based on the studies found indications for the use of conservative and surgical treatments for intussusception in children. Among all patients in the 115 (58.67%) held conservative intussusceptum in 21 (10.71%) patients underwent laparoscopic intussusceptum, in 60 (30.61%) patients – laparotomy. Conclusions. Determining the stage using intussusception scoring evaluation system has reduced the percentage laparotomic surgery from 48.60% to 11.59% to the CG in the GC, the number of postoperative complications from 13.08% to 4.49%, reduce postoperative mortality of 5 (4.67%) patients in CG 1 (1.12%) patients in the GC. Key words: intussusception, children, diagnosis, treatment. 1. Belyaev MK. 2004. Invaginatsiya kishok u detey: rasshirenie pokazaniy k konservatianomu lecheniyu. Avtoref dis … d-ra med nauk: 14.00.35. Novokuznetskiy GIUV. Moskva: 192. 2. Hrytsenko YeM, Hrytsenko MI. 2008. Ob’iektyvizatsiia kryteriiv dezinvahinatsii pry konservatyvnomu likuvanni invahinatsii kyshechnyka u ditei. Khirurhichni aspekty zakhvoriuvan kyshechnyka u ditei. Materialy nauk-prakt symp. Chernivtsi: 13–14. 3. Morozov DA, Gorodkov SYu, Filippov YuV, Staroverova GA. 2012. Invaginatsiya kishechnika: mozhno li provodit konservativnoe lechenie nezavisimo ot dlitelnosti zabolevaniya. Rossiyskiy vestn detskoy hirurgii, anesteziol i reanimatol. II; 4: 17–20. 4. Katko VA. 2012. Invaginatsii kishechnika u detey: gidrostaticheskaya klizma pod sonograficheskim kontrolem – osnovnoy metod konservativnogo lecheniya ili alternativnyiy? 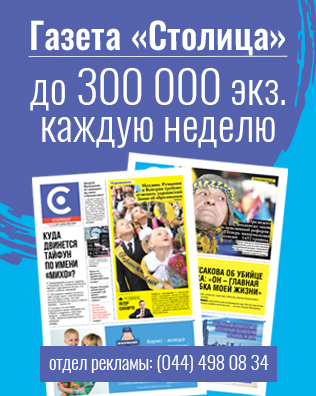 Hirurgiya Vostochnaya Evropa. 1: 88–99. 5. Kryvchenia DIu, Lysak SV, Plotnykov OM. 2008. Khirurhichni zakhvoriuvannia u ditei. Vinnytsia, PP «Nova knyha»: 253. 6. Rusak PS, Danylov OA, Kukuruza YuP, Rybalchenko VF. 2006. Laparoskopichna khirurhiia dytiachoho viku. Navchalno-metodychnyi posibnyk. Zhytomyr – Kyiv, NMAPO im PL Shupyka, VNMU im MI Pyrohova: 128. 7. Degtyar VA, Zaporozhchenko AG, Bondaryuk LN et al. 2011. Maloinvazivnyie metodyi lecheniya invaginatsii kishechnika u detey. Khirurhiia dytiachoho viku. 8; 1: 52–53. 8. Rybalchenko VF. 2007. Neprokhidnist ileotsekalnoho kuta u ditei. Khirurhiia dytiachoho viku. 4; 2: 20–30. 9. Solovev AE. 2009. Stadii invaginatsii kishok u detey. Khirurhiia dytiachoho viku. 1: 41–43. 10. Sushko VI, Krivchenya DYu. 2015. Hirurgiya detskogo vozrasta. Bazovyiy uchebnik. Pod red VI Sushko, DYu Krivcheni. Kiev, Meditsina: 567. 11. Kukuruza YuP, Pohorilyi VV, Navrotskyi VA et al. 2011. Uskladnennia ta rezultaty konservatyvnoho i operatyvnoho likuvannia invahinatsii u ditei. Khirurhiia dytiachoho viku. 8; 1: 47–49.